Jerry Lewis is shown with Robert DeNiro during an event at the Friar’s Club in New York honoring Martin Scorsese on Wednesday night. There are only a handful of Jerry Lewis movies that have never been released on home video, and one of those will finally be made available by the boutique Blu-ray/DVD label Kino Lorber on April 11, the Naval farce “Don’t Give Up the Ship” (1959). 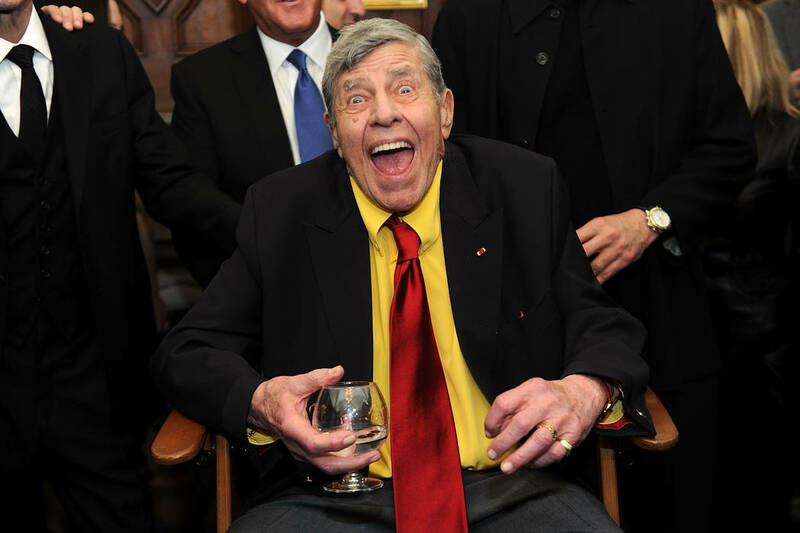 Entertainment legend Jerry Lewis died Sunday morning at his home in Las Vegas. He was 91. 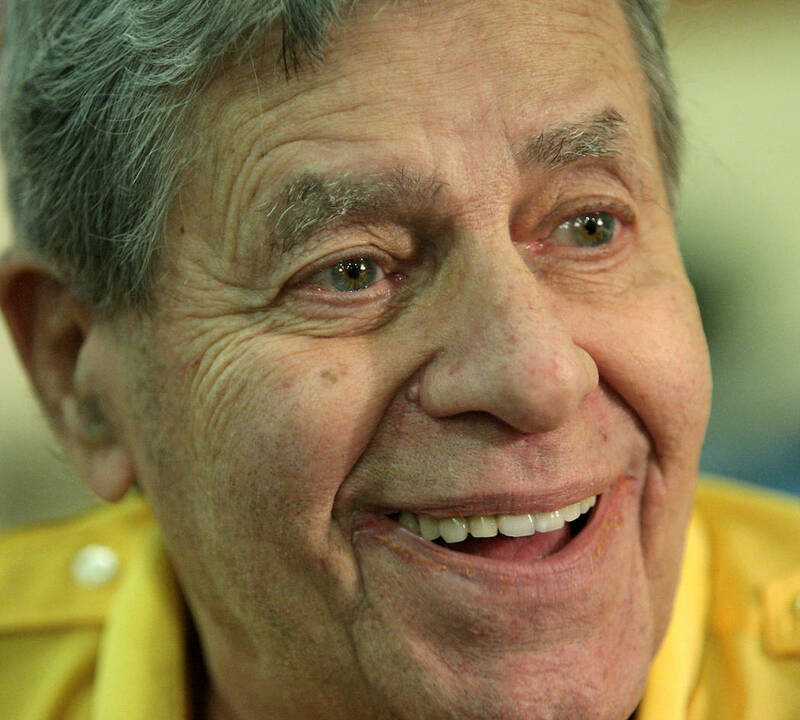 His family confirmed his death: “Famed comedian, actor and legendary entertainer Jerry Lewis passed away peacefully today of natural causes at 91 at his home in Las Vegas with his family by his side.” According to the family, Lewis died at 9:15 a.m.
Lewis and Martin landed major gigs at New York’s Copacabana and Roxy Theater and Atlantic City’s 500 Club. 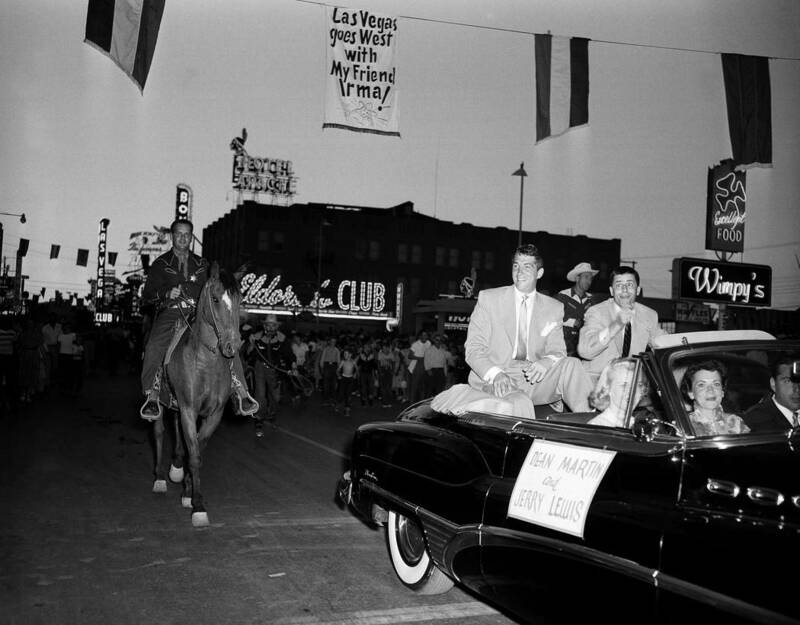 In the 1940s and 1950s, the pair combined on movies including “Pardners,” (1956) “The Stooge” (1951) and “My Friend Irma,” (1949) and “The Caddy” (1953). On television, they co-hosted “The Colgate Comedy Hour” from 1950 to 1955 on NBC. Lewis’ love for Martin, whom he called “my partner.” was undeniable. Lewis said he often dreamed of he and Martin onstage performing, and named one of his dogs “Paulie,” after Martin; Martin’s middle name was Paul. Lewis broke with Martin in 1956 and wrote, directed and starred in movies. Lewis acted in dozens of movies, including “The Sad Sack” (1957), “The Ladies Man” (1961), and famously “The Bellboy” (1960) and “The Nutty Professor” (1963). He was featured in Martin Scorsese’s “King of Comedy” (1982) and starred as himself in Billy Crystal’s “Mr. Saturday Night” (1992). On Broadway, he starred in the 1995 revival of “Damn Yankees,” playing Mr. Applegate, the Devil; he joined the production on an international tour. Beyond America, the French government inducted Lewis into the French Legion of Honor (1984) and named him Commander of the Order of Arts and Letters for his movie work (2006). 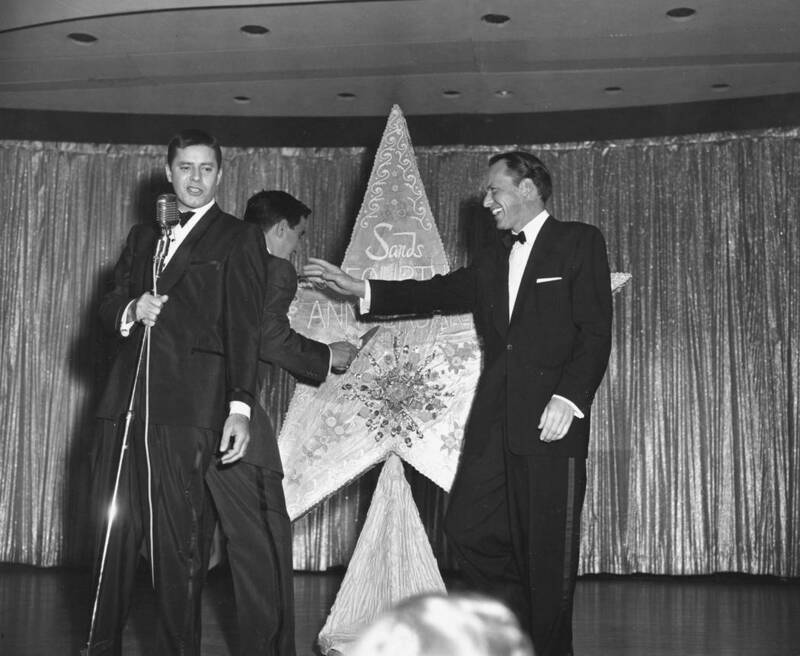 During the 1976 MDA telethon, Frank Sinatra staged an on-air reunion between Lewis and Martin. 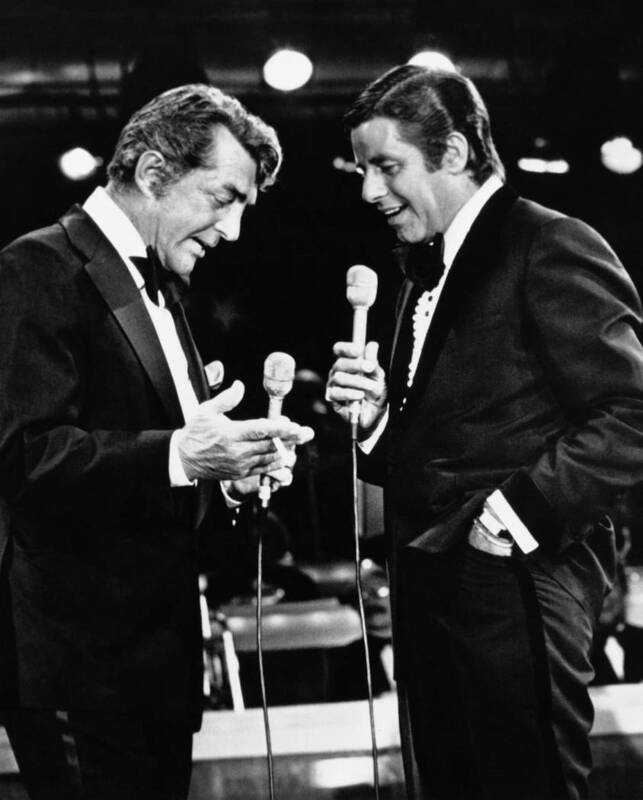 The pair wouldn’t perform together again until June 1989, when Lewis surprised Martin by bringing him a birthday cake onstage at Bally’s for the singer’s 72nd birthday. Magician Penn Jillete, who has succeeded with a seemingly odd-fitting co-star, Teller, as Martin and Lewis did, said Lewis demonstrated the power of the right pairing. In the mid-1980s, longtime Las Vegas headliner Clint Holmes and his music director Bill Fayne joined Lewis and Tom Jones at a performance by Sammy Davis Jr. at the Diplomat Hotel in Miami Beach, Florida. Lewis and Davis hadn’t spoken for years; powerhouse producer Ben Segal arranged the reunion.